"A blind man sees nothing in life, but in the heart of souls." I am a self published author with two books currently under my belt. I have poetry that has been featured in two separate French collections titled Livre d’Or pour la Paix, Anthologie de la litérature pacifique ©2008 and Enchantons la vie Anthologie poétique ©2010. I write as a form of expression in order to calm myself. I find a great deal of joy in writing, especially when others share how much they appreciate my work. 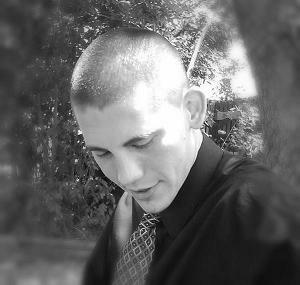 If you'd like to learn more or follow my progression as a writer, please feel free to connect with me at one of the links below. "You can't be jealous of someone else when you don't work hard enough to achieve your dreams." I recently opened a new online shop. If it does well, I'd like to donate some of the proceeds to charity. 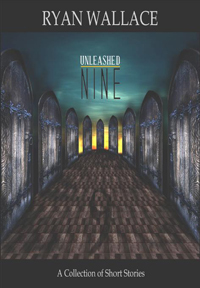 I just released a new book titled Unleashed Nine. It is a collection of nine short stories, as well as some more of my quotes and random thoughts. It should be an interesting piece because I've never tried my hand at writing short stories. I'm excited to see where the experience leads me and I welcome the input of others. 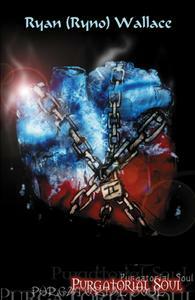 Purgatorial Soul is a collection of writings that I started when I was about 18 years old. At times I felt alone, but looking back now I know that wasn’t the case. At that time I chose to seclude myself from everyone creating the wrong emotions to flourish. The silence has been broken as new bridges are being built and I grow each day. I realized that we all need to find a way to express our feelings without letting them eat us up inside. This is my release. I started my third book, Blind Awakening, which is a science fiction mystery/thriller. I'm aiming on getting it out in the summer of 2014.